Ho ho ho! The winter of 2018 is finally here! Yet another winter is nearing to Red County, with all it's cold, snowy wintriness. And just like every year, we're going to roleplay the effects of it globally, so get ready to get stuck in snow, shiver from the cold and carry a flashlight to use during the long winter nights! Here's a quick summarisation of how it will work exactly, for those of you who haven't been with us last winter. For the whole month of December (or longer if the general playerbase wishes so) administrators will be announcing weather conditions via asays, and every online player will have to take them into account and roleplay accordingly. These asays will mostly contain a change of the snow level - a value that will tell you what kind of effects you're supposed to roleplay. 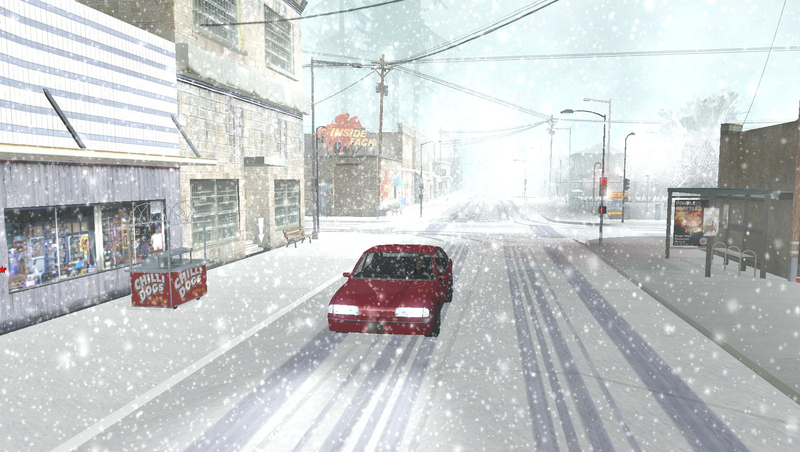 For example, at snow level 1 there is very little snowfall and you're allowed to drive cars quite fast and fly helicopters, however at snow level 3 there will be loads of snow on the roads, you won't be able to operate any aircraft and you'll have to drive your car fairly slow. The current snow level can by checked by using the command /snowlevel - it will not give you a full explanation of what the level means though, you will need to look up this thread (the section below) to see what effects you're supposed to roleplay exactly. 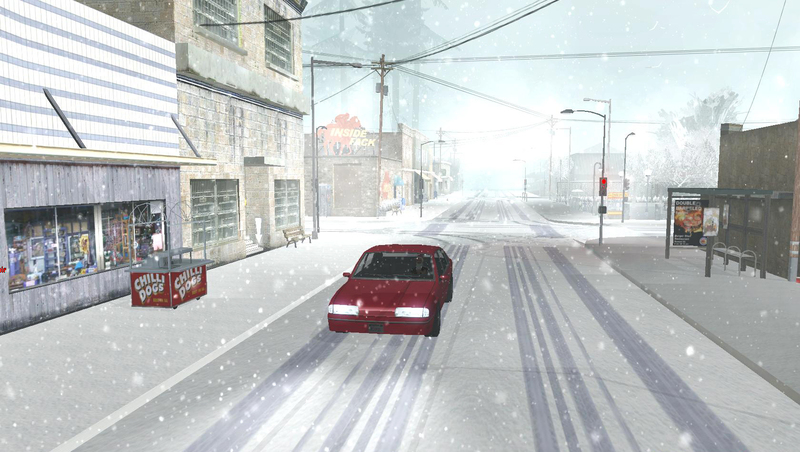 Not abiding by snow level rules usually results in a warning, or an admin jail if the warning is ignored or the player is already known for breaking snow rules. Each change of the snow level has to be announced by an administrator via /asay, so if you're online and you don't see any admin messages - the weather probably didn't change. However, it's still good practice to use the command every once in a while, just in case an asay was done while you were tabbed out, or in case you simply missed it. Additionally, the snow level will always be included in the player MOTD (Message Of The Day), so make sure to pay attention to it when joining the server. And in case there's still some veterans out there who remember the snow level being announced via the title of this very thread - this will no longer be done just like last year, as /snowlevel is much more efficient. 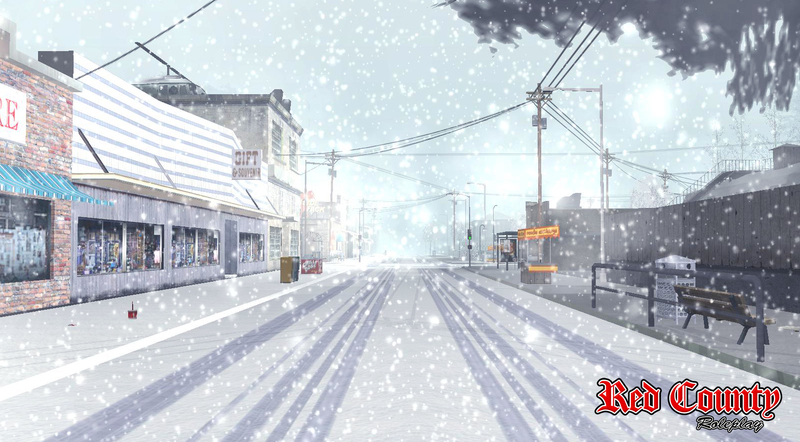 The snow levels are based on a CLEO modification called SnowFX, which you should really install if you want to be fully immersed into the snowy winter world. The mod is not mandatory, although it greatly helps with roleplaying the snow levels properly. The modification has five levels of snow, ranging from 0 to 4, and each of them describes a different amount of snow falling from the sky and lying on the ground (0 being the lowest and 4 being the highest amount). The levels and the rules surrounding them are thoroughly described below. 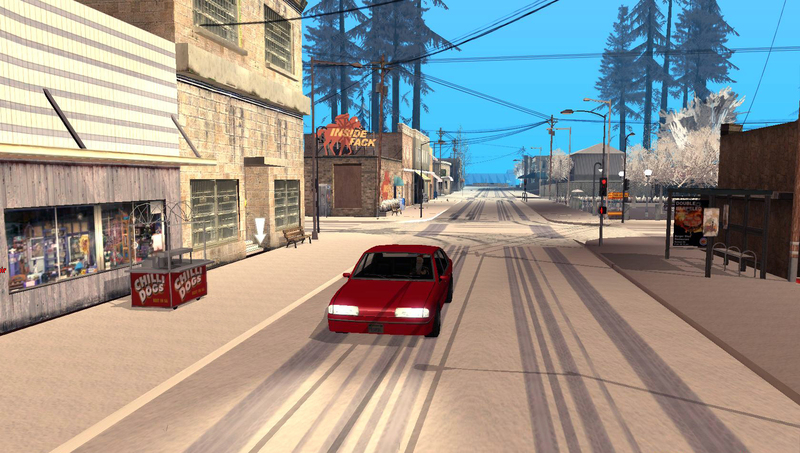 You are encouraged to set your snow level in the mod accordingly to the current roleplayed snow level. Besides, there's also the SnowAndreas mod, which replaces most of the original game textures with snowy ones, basically adding snow all around the world. It is also not mandatory, but similar to the SnowFX mod - you're all encouraged to install it, as it lets you immerse yourself into the winter roleplay much more efficiently. Links to both modifications can be found at the end of this announcement. Snowball fights / sledding / singing "do you want to build a snowman?" Anything you can imagine really. Roads are cleaned, there's either very little snow or no snow at all. You may go full speed, and you may drive on dirt roads. Off-roading is allowed. You're allowed to fly aircrafts and drive motorcycles. Roads are pretty clean, but there's snow on the ground, and some snow falling from the sky now and then. You may go maximum of 80mph (Off-road vehicles - maximum of 90mph). Off-roading is allowed when going slow (max 30mph; this includes dirt roads). You're allowed to operate aircraft and drive motorcycles. Roads are getting snowy, snow plows may head out to clean them. Moderate snowfall. You may go maximum of 65mph (Off-road vehicles - maximum of 75mph). Off-roading is allowed when going really slow (max 15mph; this includes dirt roads). You're allowed to operate aircraft and drive motorcycles. Roads are quite full of snow, snow plows are required for them to be passable. Lots of snow falling from the sky. Visibility reduced to approx. 100-150 meters. You may go maximum of 45mph (Off-road vehicles - maximum of 55mph). You may not drive on dirt roads and off-roading is not allowed, with the exception of 4x4 vehicles capable of heavy offroad (max. 15mph). You're not allowed to operate an aircraft and drive motorcycles with the exception of the Quad (which you may roleplay as a snowmobile). Roads are full of snow, impassable without being cleaned by snow plows. Heavy snowfall. Large snowdrifts on the roadsides. Visibillity reduced to approx. 50 meters. You may go maximum of 20-30mph (Off-road vehicles - maximum of 35mph). You may not drive on dirt roads. Off-roading is not allowed. You're not allowed to operate an aircraft and drive motorcycles with the exception of the Quad. OutWorld has created a great tutorial for downloading and installing the snow textures mod and SnowFX mod, here's a link to it: https://redcountyrp.com/forum/viewtopic.php?f=4&t=111083.